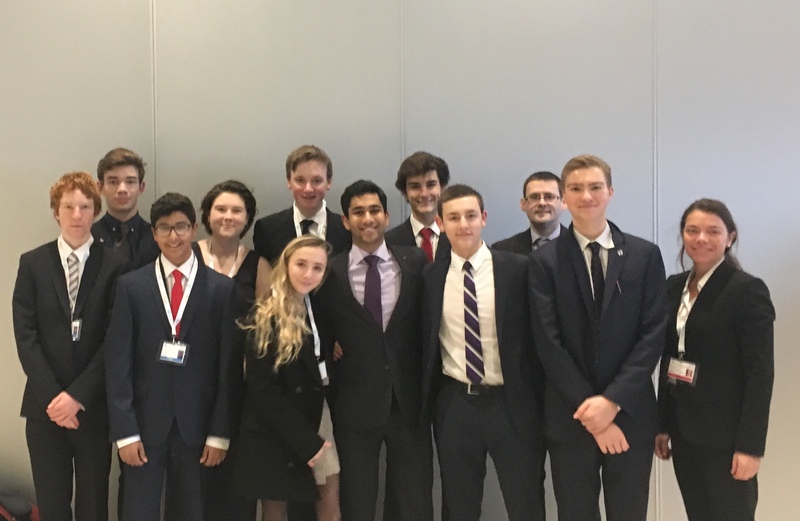 This week, students of TASIS England have been attending the “The Hague International Model United Nations” (THIMUN) conference where its students have been representing the modern day nation of Poland, as well as the historical nation of Yugoslavia. During the conferences, the students have had great success in submitting and debating resolutions on real-world issues such as the situation in Syria, the Rohingya refugee crisis, and the threat of cyber interference to democracy. TASIS students have been working hard to find solutions to these problems, and so far have been successful with multiple resolutions passed.